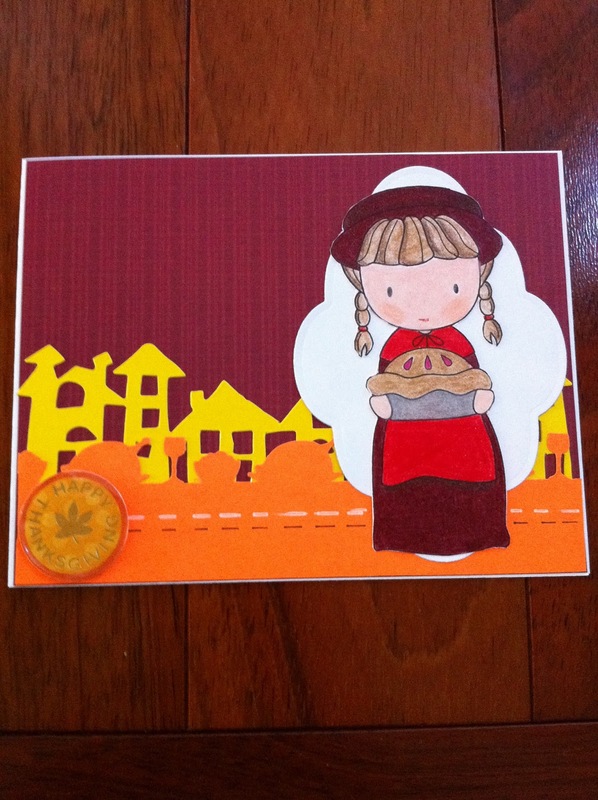 Thanksgiving is coming up on me fast so I have been trying to get my cards made and ready to be sent out. Are you all ready for Thanksgiving? I can't believe how fast the holidays are moving past. 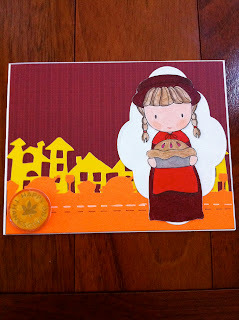 This card is made with a C&C design stamp, Sizzix townscape die, the Martha Stewart Thanksgiving dinner edge punch, and the Spellbinders Label Six. One card made and many more to go. LOL. I better get moving. Take care.